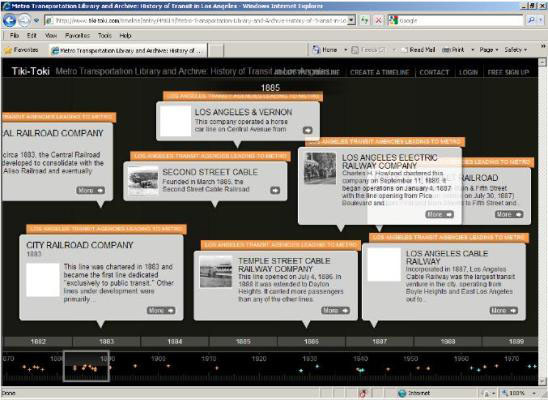 The Metro Transportation Library & Archive have been hard at work producing two new tools that explain Los Angeles transit history dating back to 1874. 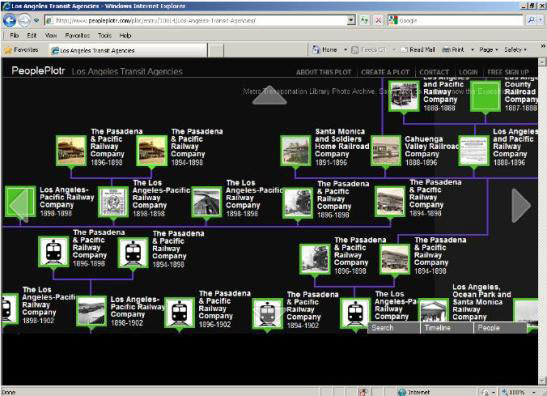 This week, the Library unveils an interactive timeline allowing users to better understand the 140-year evolution of local transit from numerous private street railroads into publicly-governed agencies. Earlier this month, the timeline was chosen from the 100,000 TikiToki timelines developed so far to be the inaugural “featured timeline” on the TikiToki Blog. A complementary tool serves as a “family tree” organization chart, explaining the complex history and relationships of Metro’s predecessor agencies. The images above and below are linked to these new resources. More information on how to use these tools can be found at the Library’s Primary Resources blog. Transportation headlines, Tuesday, Feb. 26: art of transit, does light rail stop people from driving?, raising the gas tax?